The reader did a nice job on this book but the story was sappy and predictable. 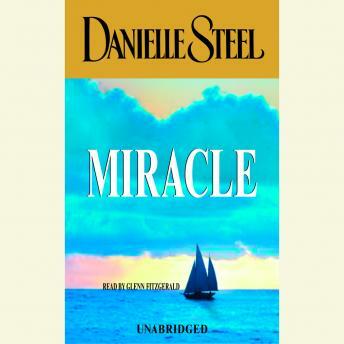 You cannot really go wrong with Danielle Steel. I have listened many of her books and they are "page turners" if you will. This one was no different, a story of romance and suspense. Pick it up. Really enjoyed the narrator's voice. Easy listen and interesting story, a bit predictable but enjoyable none-the-less. A story of friendship and personal tragedy. I recommend it. In typical Danielle Steele fashion, a few dramatically different people are brought together by outrageous circumstances and learn to care about each other in spite of the great divides between them. It is sweet and heartfelt. Not her best, but certainly not her worst! Somewhere in the middle. A sweet listen.